Where did this Ayu go? This Ayu was creative and had awesome vocals. Its like the Ayu we have now is a completely different person! This song is perfectly calming because of the soft singing. It swells at the chorus into something bigger, more powerful than itself. I miss the old Ayu. Maybe I chose this song because I love Koizora and watched it three times in a row once. Its a bittersweet song and much like the movie it was in, is about moving forward. 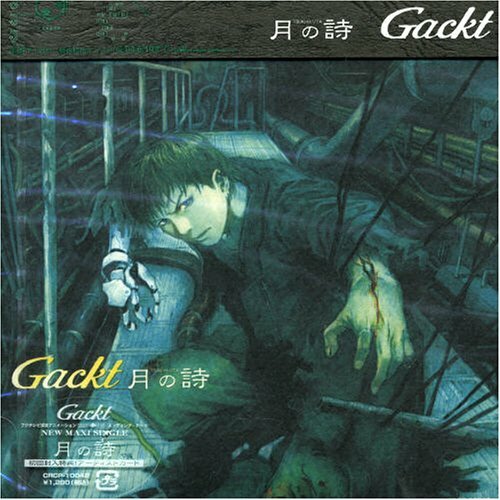 A widely overlooked song, this b-side from G’s Tsuki no Uta single really makes you feel like he is singing the entire thing with tears in his eyes. The simple piano and GACKT’s soft voice couple well together and work wonders at giving the listener goosebumps. When this song came out, it received a lot of criticism from die-hard visualists for being, well, a ballad. Others praised its beauty and emotion. I love this song because its simple and tragic. Plus, you get to hear Asagi’s voice shine in an area outside of snarling. His vibratto is excellent and this borderline opera song definitely made me cry. Truly touching. I really could have said “virtually every Ai Otsuka ballad” here, but this song is special. Its my favorite song ever. Ai’s lyrics are clever, almost childish, poignant. The melody is smooth and the instrumentation along with the sound effects create this almost ethereal mood. This song still gets me when I listen to it, and I’ll be happy to play this song at my wedding in a couple years. There you have it! These five songs always make me well up, and sometimes even burst into tears. Which songs make you feel that way?